Health services management is a growing field, especially as more healthcare facilities adopt technology. Records management and lab results are all moving to electronic platforms, and hospitals need to hire administrators to handle the data. You might work in a nursing home, clinical setting, in health information, or as an assistant administrator. Much of your day will require you to improve efficiency and process in the healthcare setting, keep up to date on laws and compliance, manage staff schedules, be the face of the company at major meetings, and organize and manage the health records. Here are the five top skills and qualifications you will need as a health services manager. Becoming a health services manager requires at least a bachelor’s degree; according to the Houston Chronicle, an undergraduate degree in healthcare administration is the minimum that employers will want to see, and you can choose to specialize in areas such as hospitals or nursing homes. However, if you want to become successful and move up the administrative ranks in healthcare facilities, you will want to obtain a graduate degree. Graduate programs generally take two or three years and will often require a year-long internship to gain experience in the field. There are also certain licenses and certifications you will need to obtain depending on what state you work for and you will need to maintain proof of practice throughout your career, according to Inner Body. If you aren’t comfortable with technology, health services management is not for you. As a healthcare manager you will be responsible for keeping up to date with the latest coding and billing software. Hospitals and healthcare facilities now use electronic health records (EHR), which will require you to learn new software and make sure it is effective for the company as a whole. You will be responsible for managing a large team, depending on the size of the facility you work for. If you work for a small hospital or healthcare facility, you could very well be in charge of overseeing the daily duties of the entire staff. 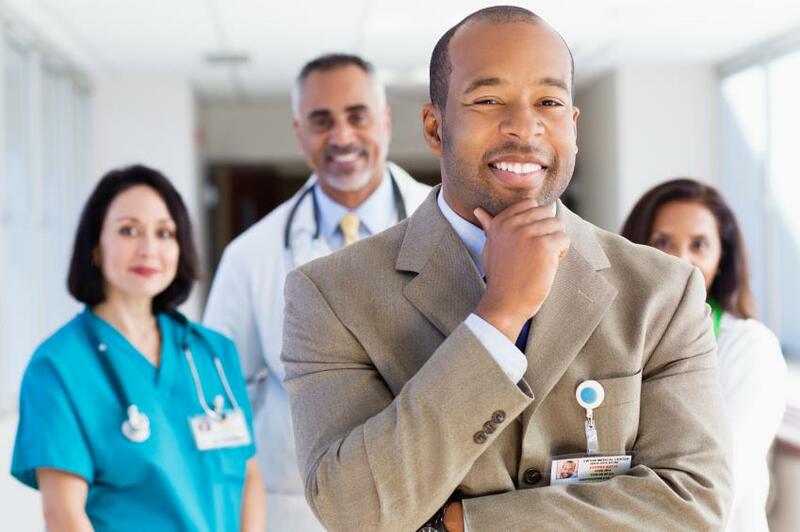 You will need to have strong management skills and organizational skills to keep everyone on track and ensure that your hospital or healthcare facility runs smoothly. Much of a health services administrator’s job revolves around understanding and implementing healthcare policies. You will need to understand the regulations in the healthcare industry and how those apply to your healthcare facility. The Bureau of Labor Statistics states that health service administrators will need to keep up on new laws and policies and know how to effectively adapt their hospital or healthcare facility accordingly. Health service administrators are often faced with detail-oriented tasks and situations that will call for effective problem solving skills. Whether it’s an issue with staff or administrative duties, you will need to be able to think creatively and face any task confidently. Having strong and creative problem solving skills will help you succeed as a health services manager. Healthcare service managers can make an average of $88,580 per year, according to the BLS and it predicts the industry will grow 23-percent by 2022. It’s a fast growing field with great pay and many opportunities to advance. If health service management sounds right for you, check out monster to find openings in your area.